Superheroes in the gambling universe sometimes find themselves helping people that hate being helped. 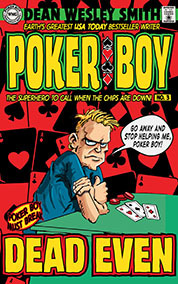 Poker Boy didn’t mind taking Bob’s money at the poker table because Bob sucked at poker and acted like a real jerk. But Bob needed to win money for a very special and personal reason.